IBB Blog : Fiat, Jeep to give Paris Motor Show a miss! Fiat, Jeep to give Paris Motor Show a miss! The year 2018 will not see names like Fiat, Jeep and Alfa Romeo taking part in the Paris Motor Show. Even Lamborghini and Mercedes have been seen to take their names off from this show previously, and now the repetition is being witnessed by the above mentioned brands. This is the first major show in years in which all of the three popular automaker brands have decided to skip. The Fiat company has explained that auto shows are no longer a must do as part of its ongoing strategy. Though this skipping of the show is making a big buzz around, but these three companies are not the only ones to have taken such a decision. Names like Ford, Mazda, Nissan, Opel etc. have also taken the same decision to skip this year’s major show in Paris. 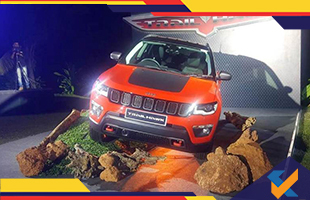 Jeep and Fiat are the two newest entrants to announce its non-participation at the grand event. Though Mercedes Benz has shown commitment towards this Paris Motor Show, but it has taken its name off from the participation at the upcoming Detroit Motor Show. The company feels that participation in all the motor shows doesn’t pose to be a very wise and fruitful strategy. The company feels that strategies should also be market specific, and only participation in motor shows will not make them earn profit for years. But instead, this German carmaker has decided to focus on tech expos like CES in Las Vegas and the Mobile World Congress in Barcelona in order to attract new customers and hit the new marketing strategies. Sometimes the costs outweigh the benefits; from now onwards it may be seen that lesser number of brands are participating at various international shows. Fiat has taken its name away from the Paris Motor Show because it doesn’t go strong with the current market strategy at all.